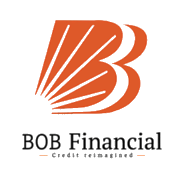 Bank of Baroda is an Indian multinational, public sector banking and financial services company. It is owned by Government of India and headquartered in Vadodara, Gujarat. It has a corporate office in Mumbai, Maharashtra. Based on 2017 data, it is ranked 1145 on the Forbes Global 2000 list. Applicants who have Completed Any Graduate, Post Graduate or equivalent from a recognized Institute for BOB FSL Sarkari Naukri 2019.